The region’s experience offers a cautionary tale about the limits of the tool. After eight rounds of UN sanctions against the Democratic People’s Republic of Korea, or simply North Korea, the country’s nuclear weapons program accelerated over the past years. The sanctions have not yet had the intended impact and, in some areas, certain ties with North Korea have threatened their effectiveness. Various countries in the African continent are among those who have been dealing with the Kim regime for decades. The lack of enforcement mechanisms for UN sanctions and the global power dynamics concerning the continent explain why UN sanctions on North Korea have been falling short in Africa. This becomes more critical as North Korea hopes to reduce its dependence on China, since China has been increasingly vocal about starting to enforce the sanctions. According to reports, trade between North Korea and African countries was at $216.5 million a year on average between 2007 and 2015. 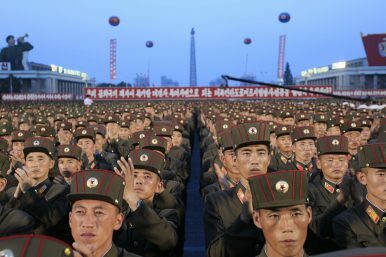 Construction agreements with various countries make up a significant portion of this amount, mostly through a North Korean state-owned enterprise called Mansudae. Statues, in particular, were in high demand, according to a UN panel on sanctions. However, the relationship does not stop at construction. The UN Panel report that came out in September accuses Tanzania and Mozambique of contracting Pyongyang to provide support for their air missile systems. And North Korean entities have built arms factories in some countries while providing military training to others, both in clear violation of the sanctions regime. UN sanctions, consisting mainly of trade restrictions and arms embargoes, have aimed at building economic pressure on North Korea to bring it to the negotiation table concerning its nuclear weapons program. Even though the sanctions’ scope and intensity have increased over the years, their effect on crippling the program has not been successful. And their implementation has been selective. Despite ongoing UN investigation into possible sanctions violations by seven African countries, as of last year, only 15 percent of African UN members were in compliance with the reporting requirements. While UN member-states must comply with UN Security Council resolutions, there is no official enforcement mechanism; it is up to the individual countries to strictly follow the sanctions. This structure has allowed various African countries to continue their engagements with the North Korean government, more or less under the radar. In response to allegations from the UN that they violated sanctions on North Korea, Namibia pledged to cut off commercial ties and Uganda purportedly severed its military ties. Yet, according to the UN Panel of Experts on North Korea, several countries including Namibia had not officially responded to inquiries by the panel. The mechanisms in place are just not able to ascertain certainty as to the level of interaction with Pyongyang. And the UN will not ask for compliance with sanctions at the expense of humanitarian aid. Since sanctions already have negative consequences for the innocent citizens of the target country, they would not be enforced on third parties by withholding much needed aid. The structure of the sanctions regime is not solely responsible for why the UN sanctions on North Korea have fallen short in Africa: despite the absence of enforcement processes, sanctions work through political pressure and economic isolation. However, due to North Korea’s long history of presence and engagement in Africa, and the shortcomings of traditional U.S. leadership in the continent, so far sanctions have not functioned in a way to isolate North Korea in this particular part of the world. During the 1960s when several African countries, who still maintain relations with North Korea, were struggling to come out of colonialism, North Korea invested time and money on their revolutions, seeing it as an opportunity to spread its socialist agenda. Thus, it built influence, especially in Sub-Saharan Africa, among those in power with more anti-Western ideologies. This influence has survived to the present day and is visible in the above-mentioned trade numbers. Historic North Korean presence in the region goes hand in hand with current absence of U.S. leadership. U.S. engagement in Africa has already been low in the past couple of years, with many African countries looking to China as an additional supplier. With the recent proposed budget cuts, which would reduce humanitarian aid by 30 percent, even though Congress may not pass them, African countries are likely to take note of a policy shift in the United States. And while President Trump made sure to call on African leaders to stand together in implementing the sanction on North Korea, his ability to induce any behavior change is dubious. While some experts believe that sanctions on North Korea will not reach their goal because Pyongyang will pursue its nuclear agenda no matter what, economics do play a role. UN sanctions work better when more countries comply, and when the target country feels the intended effects and is forced to a change in behavior. So far, the weaknesses in the sanctions regime and the lack of political incentives to enforce them have allowed African nations to play a significant role in providing leeway to North Korea. In order to counteract this leeway, the UN and United States will need to find ways to incentivize African countries’ compliance with the sanctions, specifically by reducing dependence on North Korea and demonstrating U.S. dedication to the continent’s future. Merve Demirel is the International Law & Governance Fellow at Young Professionals in Foreign Policy (YPFP). She earned her JD from American University. Merve has a background in foreign policy and international law. Pyongyang abuses the international financial system to fund its proliferation activities -- stopping this ought to be a priority.